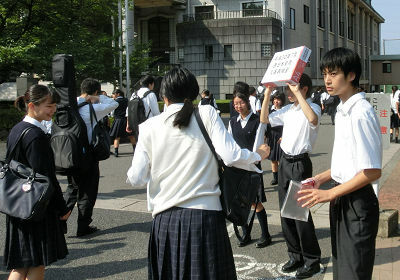 On July 19th our students raised disaster relief funds for western Japan, which had been hit by heavy rains. In the early morning before school, members of the student council stood at the entrance of school and took donations. Donations were passed on to the Japan Red Cross society. Our sympathies go out to those who were affected by this disaster and we pray for a speedy recovery.